Once again, freshman Anna Kaziska was named Midwest Independent Conference Newcomer of the Week, the league announced Wednesday. The accolade marks the second consecutive week Kaziska has earned the award. 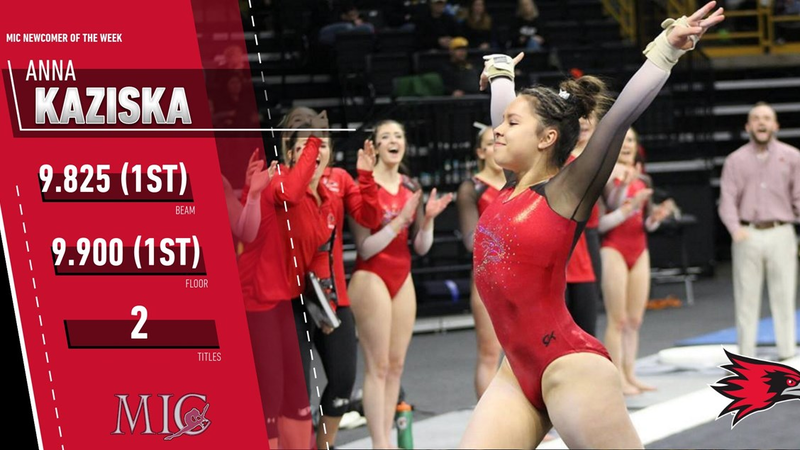 The freshman from Louisville, Kentucky, captured two event titles in Southeast Missouri women's gymnastics home opener Friday at Houck Field House against San José State. In the third and fourth rotations, Kaziska registered event winning performances in the SEMO anchor position. Kaziska posted a 9.825 on beam and a personal-best floor mark of 9.900 in the final rotation. Head coach Ashley Lawson said it was another weekend of Anna doing great things for this program and herself, and she went on to praise Anna’s leadership and motivation to get better each week. Kaziska also finished second in the all-around competition with a career-best 38.850. The Redhawks Gymnastics team hits the road this weekend but will return for their second home meet on Friday, Feb. 8. Meanwhile, back on campus this weekend, the SEMO mascot Rowdy the Redhawk will return to action tomorrow. After suffering a tragic t-shirt cannon accident on Christmas morning, Rowdy had spent the last several weeks in recovery, which included extensive reconstructive surgery and exhaustive rehab and training. Rowdy and his new look will be introduced during halftime of the men’s basketball game tomorrow afternoon inside the Show Me Center. Follow the Redhawks on Twitter at @GoSoutheast. 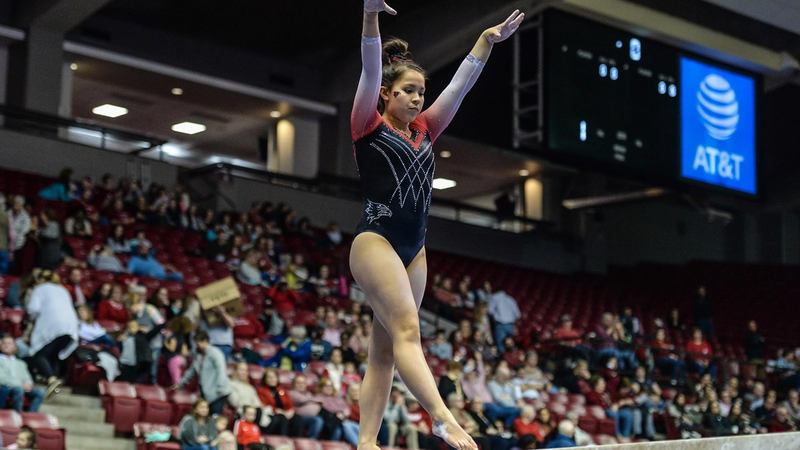 The SEMO Gymnastics season is officially underway, and Redhawk freshman Anna Kaziska is already earning some serious accolades. Kaziska was tabbed Midwest Independent Conference Newcomer of the Week announced Wednesday afternoon. Kaziska recorded personal bests in all four events last Friday, Jan. 11 at University of Iowa en route to being crowned beam and all-around champion. Southeast Missouri's 2018 season will be remembered for the Redhawks' historic turnaround and the school's first win in the FCS playoffs. 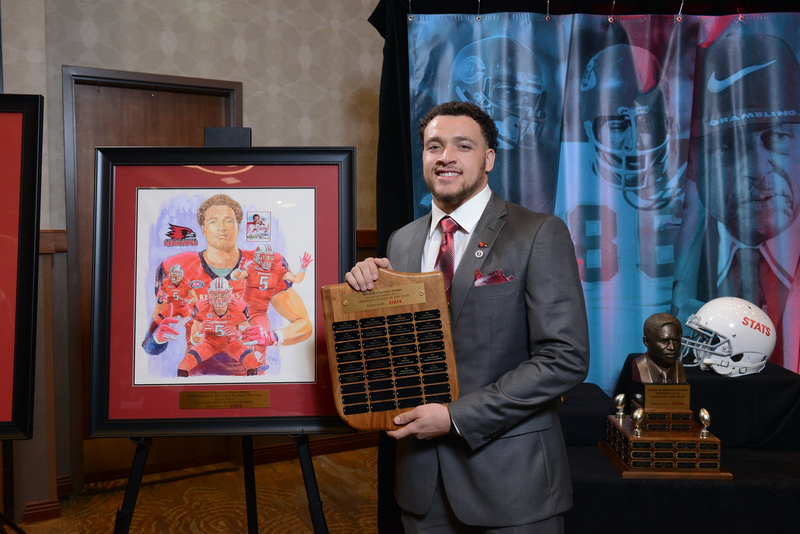 Add having the national defensive player of the year in college football's Division I subdivision to the list.Junior linebacker Zach Hall won the 2018 STATS FCS Buck Buchanan Award last Friday night, emerging from a group of 25 finalists from across the country as the top defensive player in all of Division I FCS.